Postgres compatibility has been added to AWS Aurora, a performance-oriented relational database, helping you grow beyond the 6TB limit of RDS. Under the covers, Postgres is, in simplified terms, a giant append only log but to keep things efficient it needs to ‘vacuum’. Here’s how to track the bloat that piles up. 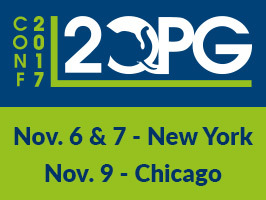 Join us in NYC & Chicago to learn more about recent achievements and exciting future developments in PostgreSQL from the pros. Additionally, on Nov 6 in NYC you can participate in hands on training in: PostgreSQL Security, Postgres-XL, and Postgres-BDR. Logical replication is one of the more exciting advancements in Postgres 10. This primer is from a few months ago but is now more relevant than ever. PGConf 2018 is happening again in NY and the CFP is open now. If you’ve got something to say about Postgres consider submitting. Understanding how concurrency is achieved under the hood is pretty important for anyone using databases. A golden oldie packed with four useful tips that could come in handy the next time you’re running a query. Citus Data open sourced their distributed database and “unforked it” from PostgreSQL by refactoring into a PostgreSQL extension. Here’s a recap of that journey. ..instead of a junction table. Intriguing results. The challenges ahead for improving Postgres graphical/visual tools. Schedule an EnterpriseDB Tune-Up Service. Ensure proper configuration, optimized for cost and performance. A simple, Ruby-based solution to make ccrypt-encrypted backups for storage via the Google Drive API.